In Slow we have different options so you can choose the best for you. 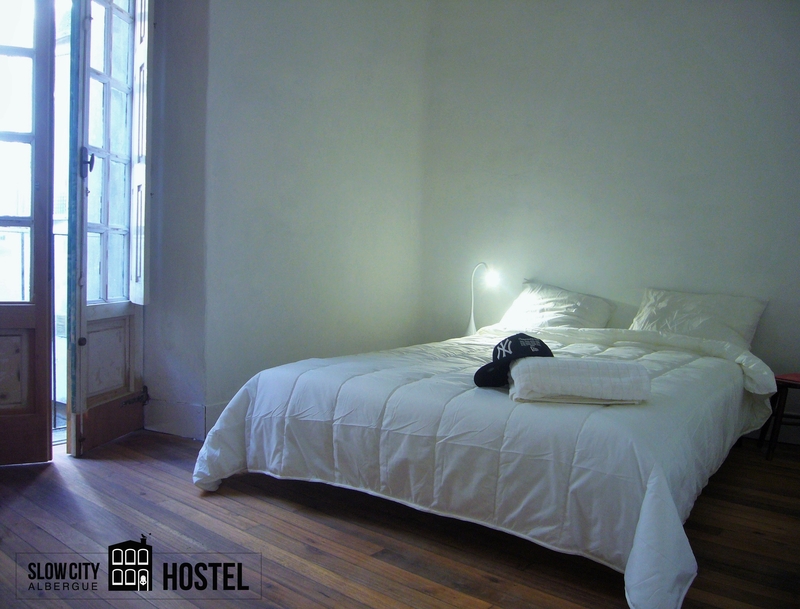 Our 6 person dorm is a wide, bright 26 m2 spacious with 3 balconies facing Pontevedra old city center. We have also strong cabins with lockers to keep safely your stuff. If you´re looking for more privacy our double room with two beds could be the best option for you. With a big roof window is the brightest and most demanded room at Slow. 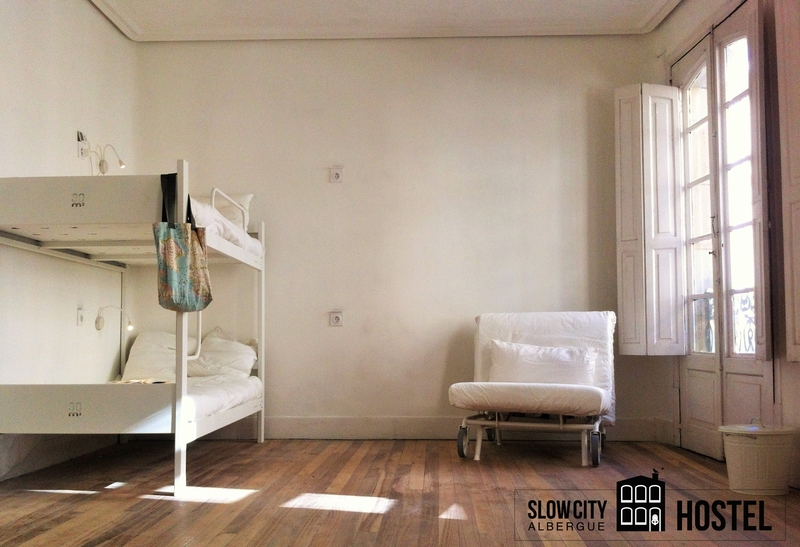 With a double bed, balcony and a wide wardrobe are the favorite room for the couples visiting Slow City Hostel. One of the Slow City Hostel advantages is their size. The option of a 10 person reserve (complete hostel in fact) is very interesting for groups and families. Do you have 10 friends? 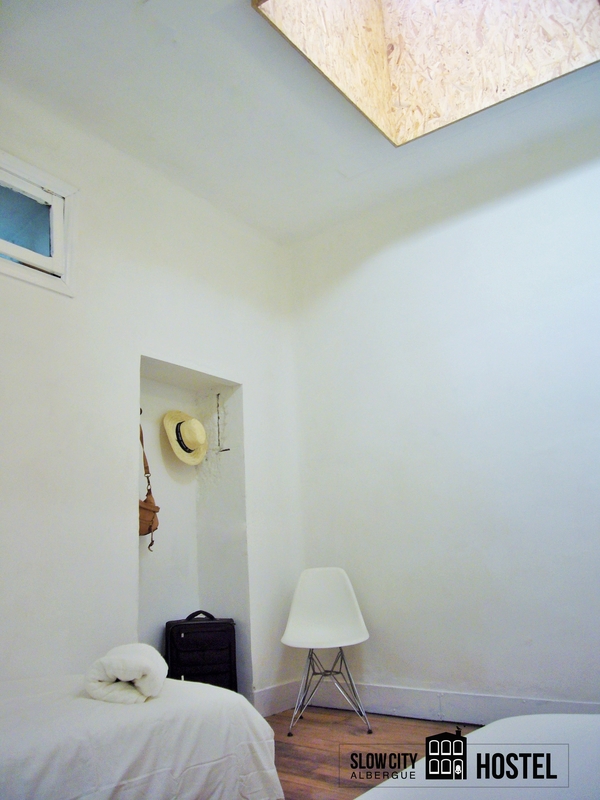 For 180€/night you´ll have a place to sleep, cook and relax in the hearth of Pontevedra Old City Center. Bed Clothes (cotton linens, duvet and lyocell pillow) . Coffe, tea and sweet snacks.